Two weeks ago, Keegan and I were fortunate enough to fly to Vegas for the 2015 Design and Construction Week. 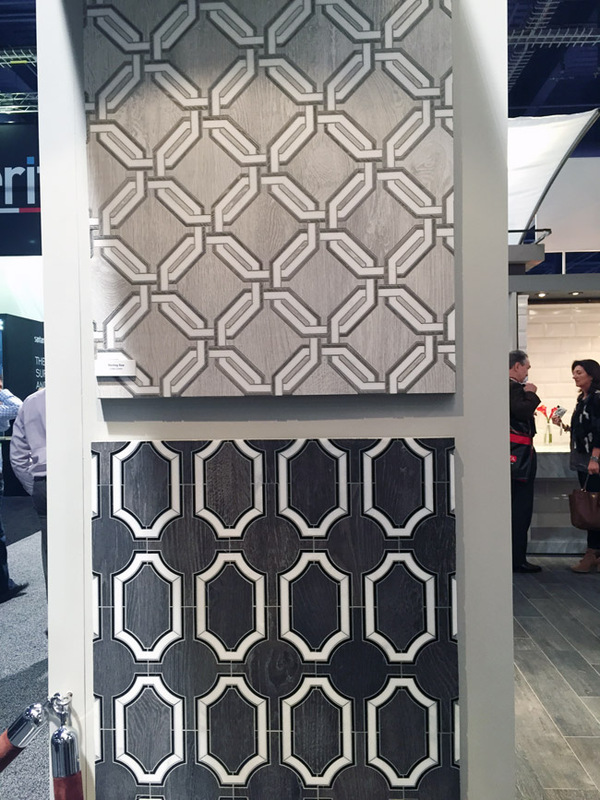 We arrived on Monday afternoon and stayed through Wednesday, visiting KBIS 2015 (Kitchen and Bath Industry Show) and IBS (International Builder’s Show) on Tuesday at the Las Vegas Convention Center. On Wednesday, we went to the Las Vegas Market, which is further North near Fremont Street. Our iPhones said we walked about 13,000 steps each of the three days we were there, and I believe it. In fact, I would bet it was underestimating. This was the first industry show I ever attended, and the best word I can use to describe it is overwhelming. 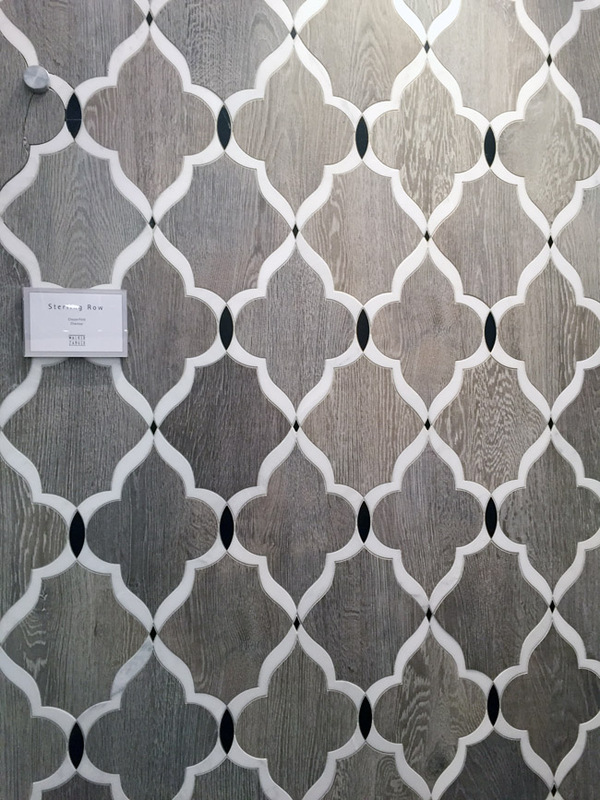 On Tuesday at KBIS and IBS, we started in the South hall, wandering up and down each aisle and looking at all the vendors. We thought it was very interesting, but I remember feeling like it was a little underwhelming. Then we ventured over to the Central and North halls and omg, it was insane. The booths were bigger than life with Kohler being one of the most impressive, complete with working showers and faucets. I didn’t take a whole ton of photos because there were just so many people to dodge and shoot around, but I did manage to snap a few here and there. 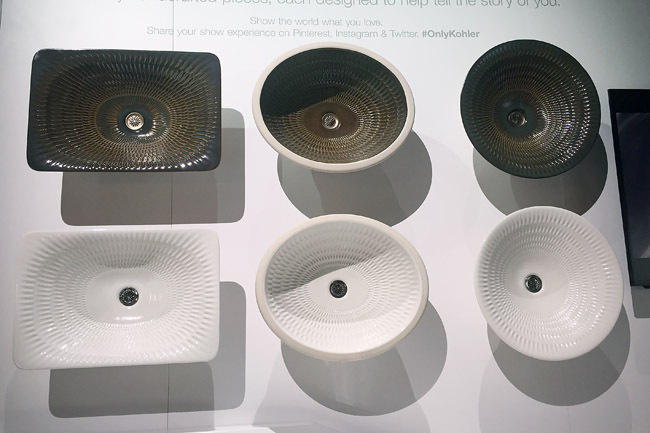 I love the beautiful textures of the Artist Edition Sinks by Kohler. 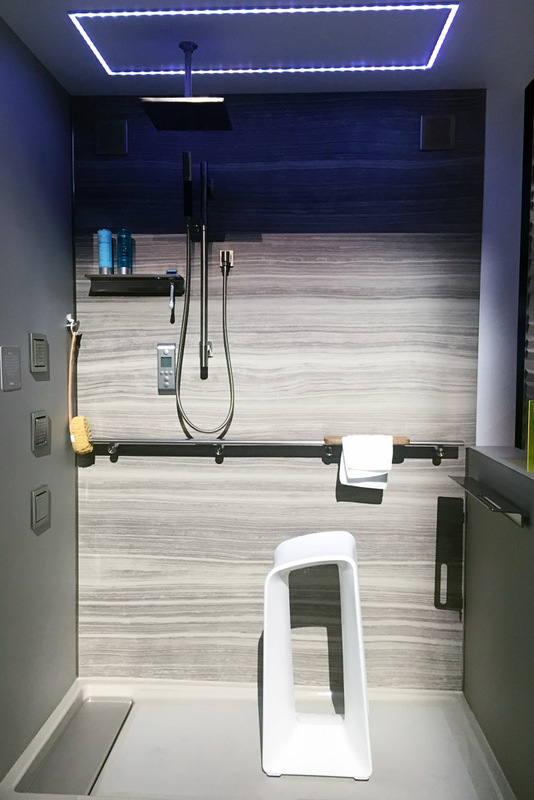 Kohler also had many new sleek shower accessories that are perfect for more contemporary bathrooms. 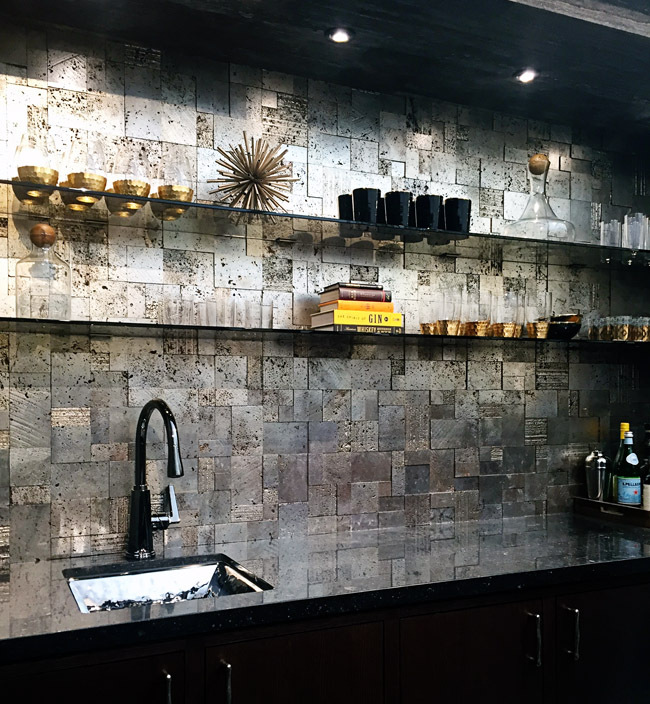 I want to use all of these gorgeous water jet mosaic tiles. 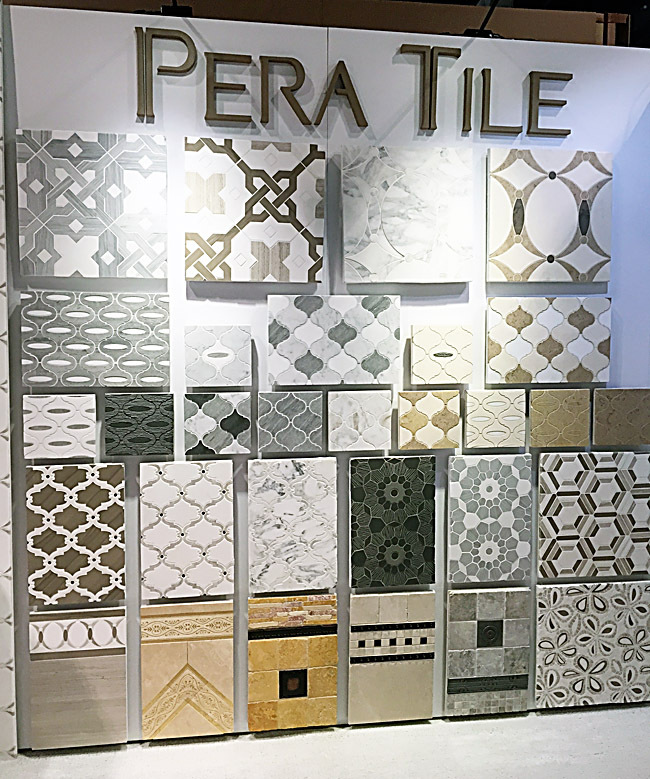 Even better, the rep mentioned that they are customizable – you can select the pattern and stone that you want to use, so you end up with the perfect custom tile for your client. There are some definite contenders here for one of my current kitchen projects. 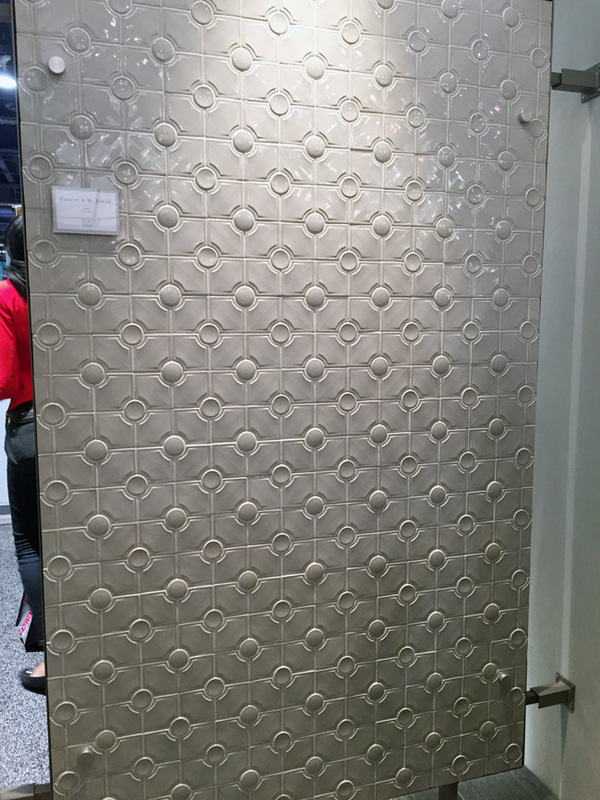 This metallic tile by Ann Sacks was to die for. It had the most stunning patina and texture and totally reminded me of pyrite (fools gold), which is one of my favorite semi-precious stones. 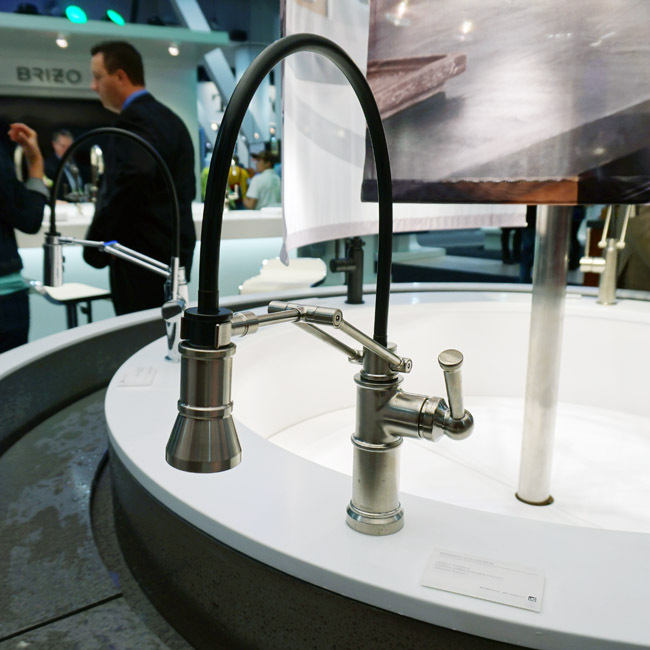 I thought these articulating faucets by Brizo were different from anything I’d seen before and really interesting…something different for clients who like the industrial look but not too industrial. 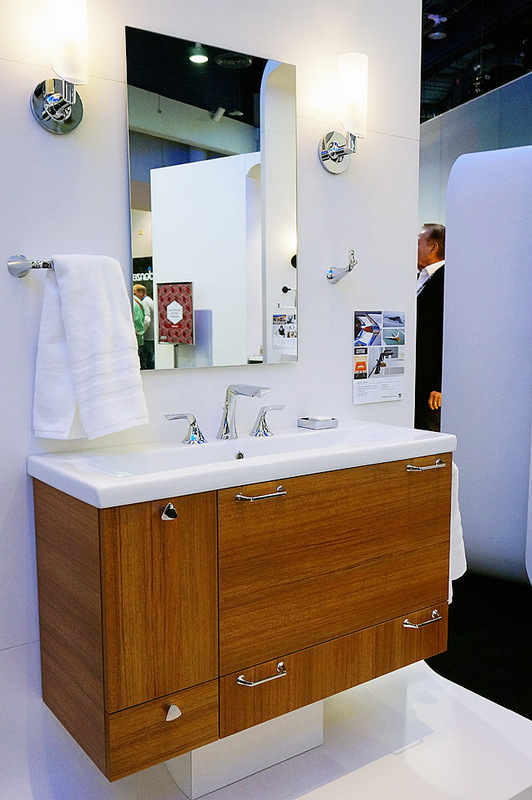 Freestanding tubs were a hot item at the show. 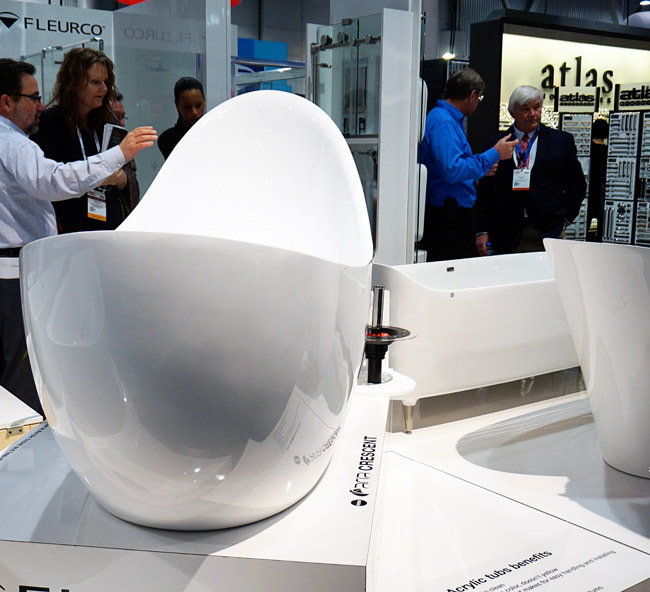 These acrylic tubs are by Fleurco, and I really appreciated the variety of shapes and styles. I think both designers and homeowners are veering away from the big jacuzzis. They’re space hoggers and can also be unsanitary. You may think that a freestanding tub is more expensive, but by the time you tile the surround of a built-in tub and add a solid surface top, the cost will likely be pretty similar. I’d choose one of these beauties instead any day. 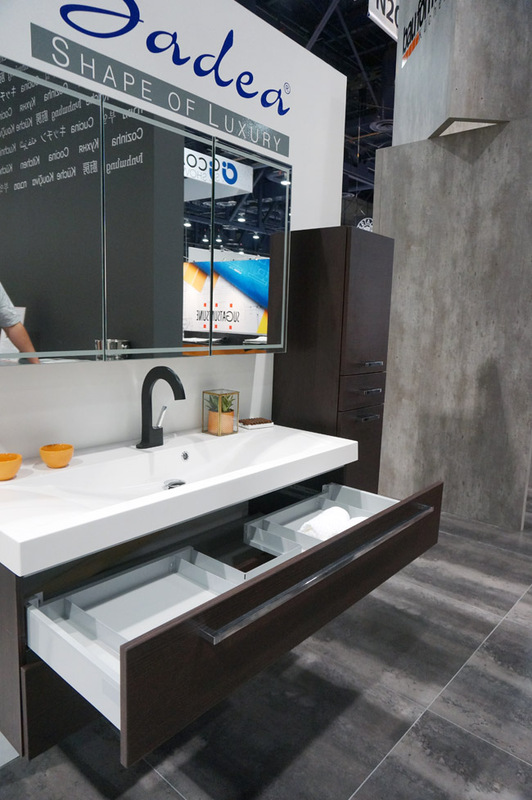 I thought it was interesting to see how many companies were offering versions of shallow floating vanity cabinets that featured integrated solid surface sinks. IKEA has been doing this for quite a while, and I’ve never really seen it as a popular option before. At 18″ deep, these sinks are total space savers and include a ton of functional storage (think drawers instead of doors). If you think you could never live with this little counter space, the key is to add a good medicine cabinet to store all of your frequently used items. You could also build in a recessed niche in between the vanity top and the medicine cabinet. 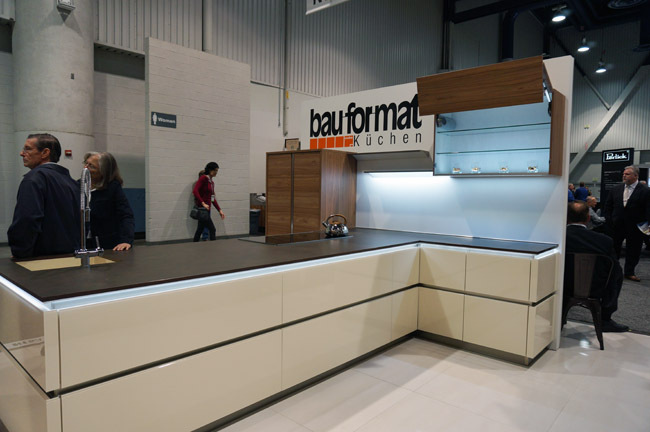 Bauformat’s kitchen display was one of my favorites. We rarely see anything like this in Des Moines – huge deep drawers with integrated lighting and super sleek thin countertops. 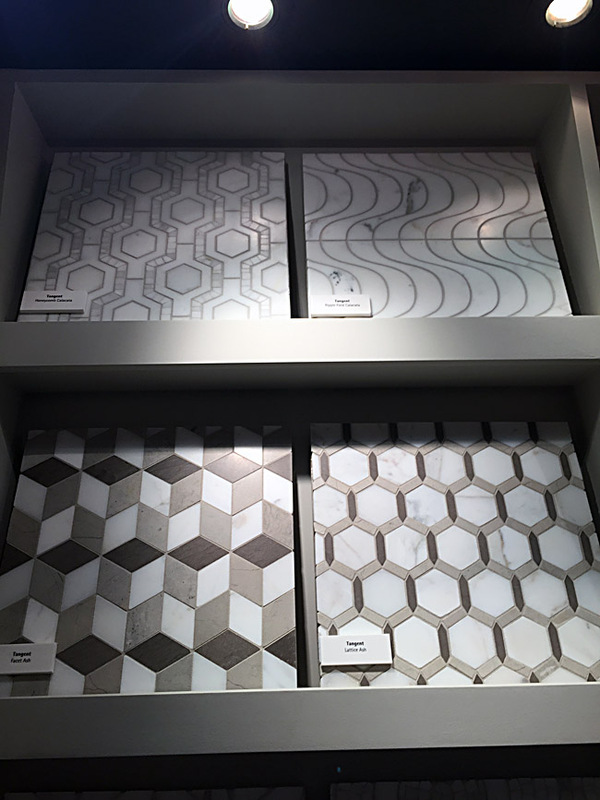 I’ll wrap up with some of my favorites from the Walker Zanger booth. I am a huge fan of their current color palette and designs. Overall, KBIS was a great time, but I don’t think it’s an every year type of thing.